The classic tailored women's Pearl II pants in the pink belt rank color! Besides the fit, these also feature a lightweight pearl weave, making them perfect to train in during long training sessions in the heat! 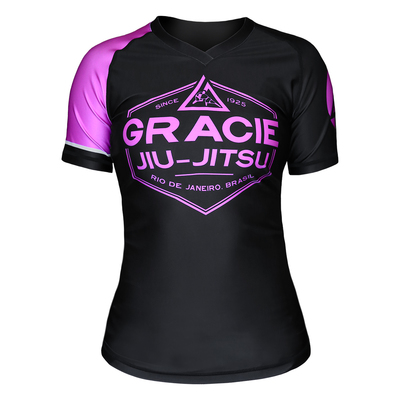 The whole Pink Pearl Weave Gi is available here! Pearl Weave Gi Pants Pink (Women) has been added successfully to your wishlist. Garment Details: 100% Cotton with Gracie triangle embroidered on the left pant leg. There are currently no reviews for Pearl Weave Gi Pants Pink (Women), but you can be the first!